Uncovering understanding and the motivations of our audiences requires insight into the customer journey. As time rolls on the tools in which we are able to assess motivations and needs are becoming more accurate and much more sophisticated. Despite the tools at our disposal, understanding still begins with education–internal and external. Discovering the intentions of an audience and being able to design for those needs takes time and knowledge–the internal. Educating the client why this work is important is also part of the process and can be challenging–the external. 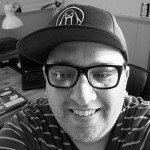 We whisked shot a few questions to Nathan Shedroff, an expert in the field of experience design, and he was kind enough to indulge us by sending back some thoughts on the current hurdles in the design profession, the role of client education, and employing the waveline technique to uncover intentions and the state of mind of your audience. Great customer journeys are the result of great relationships that are enabled by great experiences. With the continual evolution of technology and the growing importance of the digital space; clear, functional design is needed now more than ever. 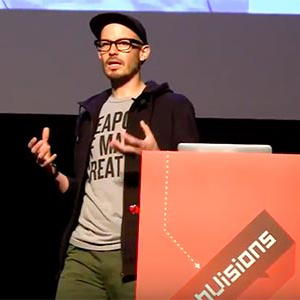 What do you see as the biggest hurdles facing the design profession at this point in time? Our ability to communicate our skills, methods, and value to our peers. Too many non-designers still think that design is about function and appearance and don’t understand that the understandings we have about our customers (through qualitative design research techniques) have strategic value at least as important as what the marketing group generates (and often more). While design’s importance to product and service development has surely grown in the last two decades, it is still treated like a “nice-to-have” instead of a strategic “must have.” Our view of customers (and, thus, the market) is often superior to those making decisions for the organization but it is usually not a part of these decisions and is only employed for product development. Client education is becoming more important as the design process becomes more complex. What role does client education take when you embark on a new project? Clients nearly always hire consultants specifically because there is something they don’t see or can’t do themselves (not just as overflow coverage). As such, there’s always a component of education that needs to take place, if only to explain the context for any work or insights developed. Usually, consultants will employ new techniques that absolutely need to be explained and, often, the point of hiring these consultants is to learn these new techniques. The same goes for the value of design in decision-making and design research’s ability to provide new insights into customer needs, desires, and decision-drivers. Educating a client in order to help them understand the value design can provide is important, but how much time should a design team invest in that education process? What is the hoped for outcome? Enough to validate the work you’re doing and why it’s worth listening to. The outcome is better work, better understanding of that work and its results, and returning customers. As design continues to evolve and change, does the role of education become a persistent aspect of our client and customer interaction models? It will always be a need whenever we’re doing something new or using methods our clients are familiar with. 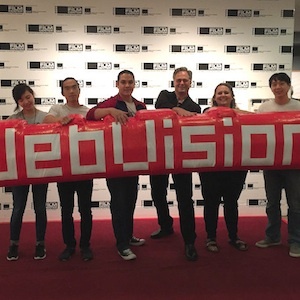 Your upcoming workshop, Using the Waveline: Mapping Premium Value to User Experience, at WebVisions will incorporate new design research tools for uncovering user emotions, core meanings and design triggers that can improve and enhance the user journey. How did you discover the value of these tools and their impact on the customer experience? My main co-author, Steve Diller, and I have been collaborating for several years. Our first book, Making Meaning, (with Darrel Rhea) was an investigation into the other value that we experience in the market but that, too often, gets labeled “emotional” or “irrational.” Qualitative value is notoriously difficult to discover and describe and this work uncovered the underlying structure to the deepest value we can make and share in the world. These understandings came from lots of global research that alienated and illuminated our original supposition. Our new book (with Sean Sauber), Blindspot, further describes how this value is critical to premium business and how to use it effectively with a tool called the waveline diagram. This comes from music composition and we’ve transposed this tool (and transformed it) into a useful tool for product and services development. In fact, it’s really used for designing relationships, not just the products, services, and other touch points that enabled them. We’ve been using this tool for over 5 years, both in our teaching and in Steve’s business. It’s been validated for a long time and proven incredibly successful and now it’s time to share it more widely. As a follow up, can you describe what a waveline is and the conditions in which it can be employed? The waveline is a representation of a user/customer/person’s state of mind at any moment. This is a term from cognitive psychology and it’s pretty self-explanatory, even without the description of what goes into it. This is essential for designing experiences since an experience is simply a shift from one state of mind to another. Charting this allows us to better understand who we’re designing for and what’s happening in their lives and minds. This gives us a better basis for effecting them in deeper ways than merely functional and financial value (price and features). 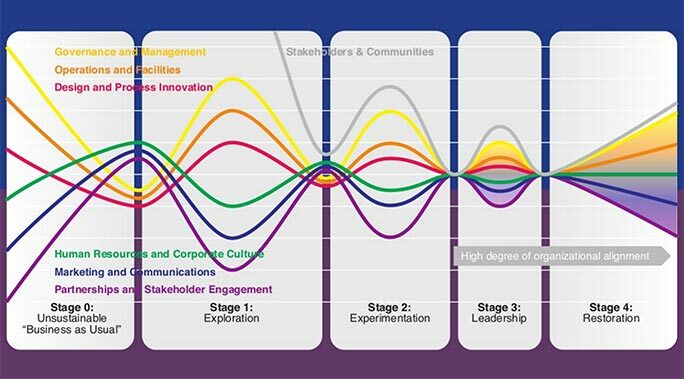 Think of this as a sophisticated version of a customer journey map but one that keeps us focused on the customer’s experience, not just the touch points we’re responsible for, including outside influences on their decision-drivers. The trick to using it well is to identify where we have the opportunity to improve the experience (and, thus, the relationship) from their perspective and, then, develop new touch points that enable those relationships. It keeps us focused on premium value (emotions, identity, and meaning) rather than merely functional or financial value (which never create the most stable, valuable relationships). The user journey can do a lot to build a strong consumer/client base. What, in your mind, are the hallmarks of a strong user journey? Something that fulfills the deepest, most valuable drivers in their lives. The relationships we create with organizations, products, and people are weakest when they simply fulfill our functional or financial needs and deepest where they fulfill our emotions, enable our identities, and connect with our worldviews. However, we don’t build these kinds of relationships by focusing where business usually focuses (price and features). When you hear “minimal viable product,” you need to question the motivation of those around you. Most likely, they’re focused on the weakest kinds of value. At the very least, you should be discussing “minimal viable experience” since none of your customers (most likely) live in a minimal world. They’re getting their experiential needs met somehow and that needs to be recognized. Great customer journeys are the result of great relationships that are enabled by great experiences. That’s the only place that value is exchanged, but most organizations—and leaders—don’t recognize this. Even if they have an inkling that there is more than just price and features, almost all of the business tools created and used today, only focus on the quantitative (and mostly just the financial), so there’s always an uphill battle to try to build-in or focus-on what really matters to a business. Mobile device use is continuing to grow, replacing desktop based interactions and experiences. How will this change our idea of the user experience as designers and strategists deal with the limitations of screen size? If you’re focused on the experience and relationship, at the deepest levels of human connection, it just doesn’t matter the means itself. Independent of any particular device or medium, we establish meaningful connections with others, including organizations and brands, despite the broadness or narrowness of any device or medium. Even though each has it’s strengths and weaknesses (which must be taken into account when developing touch points), talking about these is a distraction from the real goal: great relationships that exchange the best kind of value. 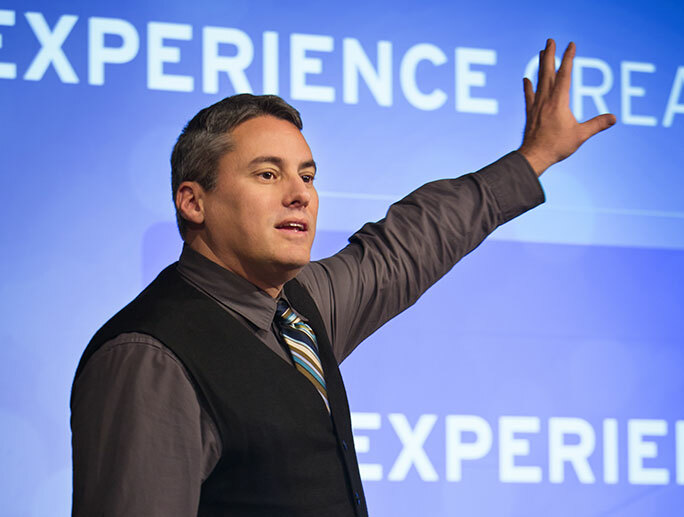 Nathan Shedroff is a pioneer in the field of experience design, a serial entrepreneur, educator, speaker, and author. 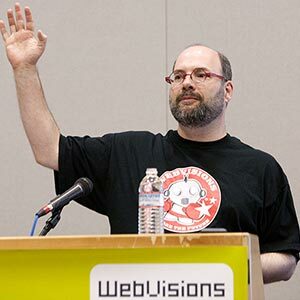 His upcoming WebVisions workshop, Using the Waveline: Mapping Premium Value to the User Journey, is designed to help designers and developers better understand the melding of business value and customer experience. Nathan will also present a series of talks throughout our entire 2016 season.